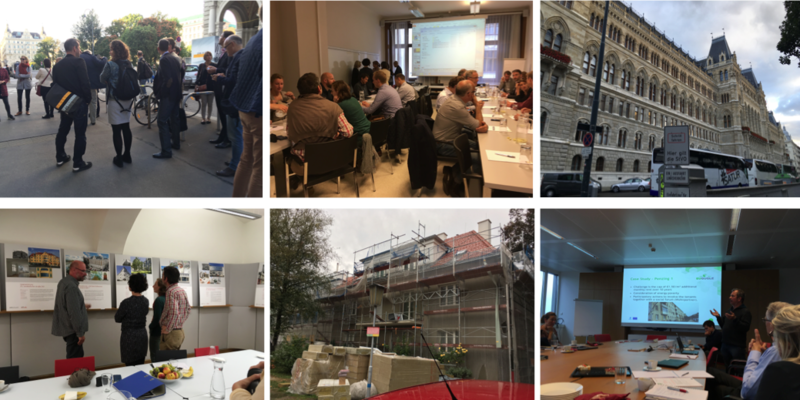 On 3-5 october 2016, we organised, with our partner Energy Cities, a field trip in Vienna to know more about the city strategy on retrofitting, citizens empowerment and district heating. Vienna, one of the most livable cities, draws its future in a smart city framework to carry on ensuring quality of life through innovation. These two days were full of lessons, field visits and exchanges with local partners : City of Vienna, Tina Vienna, Wohnfonds_Wien, Aspern Smart city research, University of Natural Research and Life Sciences (BOKU), EU-Gugle, iC-CES, Wien energie Gmbh.